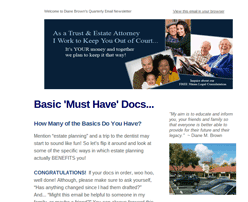 In the previous post, we looked at the definition of elder law and took a look at what I do as an elder law attorney. 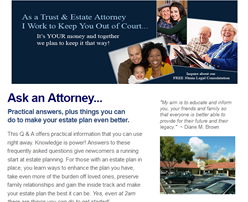 In this post we look at different life situations that can add to the complexity of trust and estate planning, we look at elder law and the aging parent, and see how an elder law attorney can help you. As mentioned last month, it is always best to sort things out SOONER rather than later. When it comes to trust and estate planning, if you think things are crazy now with a family situation or financial entanglement, I know just how crazy it can get. It’s always best to be as proactive as you can be… now! Some of the things that can become sticky wickets include: a second marriage (or more), a recent divorce, a disabled family member, the recent death of a spouse, the sudden incapacitation of yourself or spouse, ownership of one or more businesses, special needs children, children with emotional/behavioral challenges, real estate assets in multiple states… even a desire to leave your estate (or part of it) to charitable organization can create dissension and discord within a family. If any of these are a part of your reality, I encourage you to at least TALK with an attorney now. And if there are senior family members are involved, please make sure the attorney you speak with SPECIALIZES in elder law. Older or disabled adults can face a variety of challenging situations and often have sensitive emotional and physical needs. 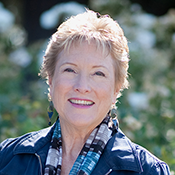 An experienced elder law attorney knows how to tread with care through these delicate areas and facilitate even the most difficult conversations. Senior clients often find a family meeting to be a wonderful way to clarify their wishes, broach difficult topics in a safe environment, and do so with an advocate at their side. We have an article about that if you want to read more. Look for a link at the end of this post. 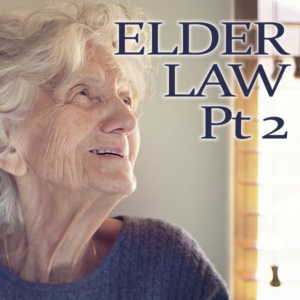 An elder law specialist always has one eye on the well-being of the aging parent and the other on the bigger picture. Family members who feel daunted by a parent with significant memory loss or health issues need an advocate as well. A skilled elder law attorney sees the whole picture and is there to help you handle the immediate issues and plan to tackle future matters – ideally, before they arise. This creates ease and allows you to spend enjoyable, stress-free, quality time with your parents! Elder schmelder! Yes, I know, we never like to think of ourselves as “getting old.” I will tell you though, the greatest gift you can give your kids is planning for those golden years now. And, rather than being in the throes of some medical emergency, to reap the benefit of setting things in order and make clear, informed decisions along the way – now THAT’S the gift of peace of mind for you! When you work with an attorney who specializes in elder law, you have the support and expertise needed to look at things like wills and estate planning, changing existing documents, planning for long-term care and powers of attorney. You can also make a plan for minor or adult child with additional needs. Why not go to a regular attorney for this guidance? In two words – Patience and Experience. PATIENCE to review the details at whatever speed suits you. With the pace of the world today, things can quickly feel overwhelming. There is such a sense of accomplishment that comes with handling your affairs in a proactive way. EXPERIENCE to know the particulars that make ALL the difference. 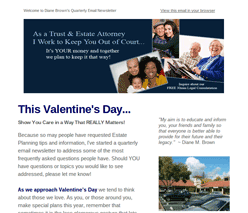 An experienced elder law attorney knows what issues to address and when to address them. I have the practical knowledge needed to help you side-step planning pitfalls that will hinder others. If you live in Los Gatos or surrounding area and have questions, you are in great company! I know this can feel overwhelming and we have answers for you. If you would like to set up a time to talk with us at Brown Law Offices, please print out the certificate good for a FREE 30-minute Legal Consultation and call the office at 408-376-2755 to make an appointment.